Arsenal eye Leroy Sane as Mesut Ozil’s replacement. 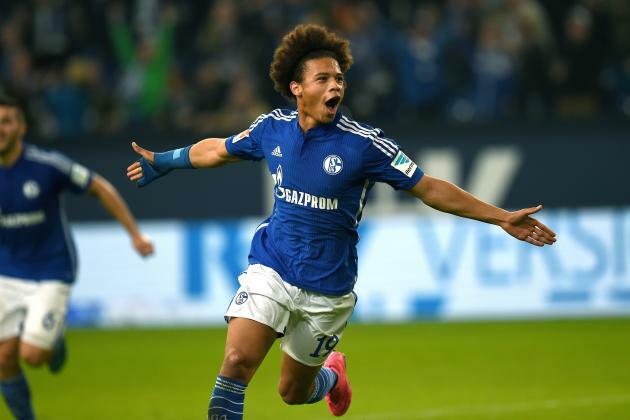 The reports have revealed that Arsenal boss Arsene Wenger is keeping tabs on Schalke 04 starlet Leroy Sane. The reports have revealed that Arsenal boss Arsene Wenger is keeping tabs on Schalke 04 starlet Leroy Sane. The Week claimed that the Gunners are keeping strong tabs as the French boss eyes the 20-year-old attacker as Mesut Ozil’s future replacement. Sane has been an exceptional player for the Bundesliga side since his move from Bayer Leverkusen in 2011. He has scored 10 goals in 42 appearances for them. While Bleacher Report reported that Manchester City and Barcelona are already in the race but the North London outfit are confident that Sane will prefer a move to Arsenal. Ozil has been in fine form this season, he is currently leading the assist chart with 17 assists so far this term. But the German could be leaving the Emirates Stadium in the summer or may be after a year. Sane has been eyed as a long term replacement of Ozil. Daily Express revealed that Sane is valued around £28 million according to the release clause in his current contract. Sane scored an amazing goal against Real Madrid last year in the Champions League. You can watch the goal below! Arsenal have the perfect replacement for Ozil in their own ranks. The boy is named Gedion Zelalem.